We have our first career fair (since I've been at my school for 6 years) for our high school students! 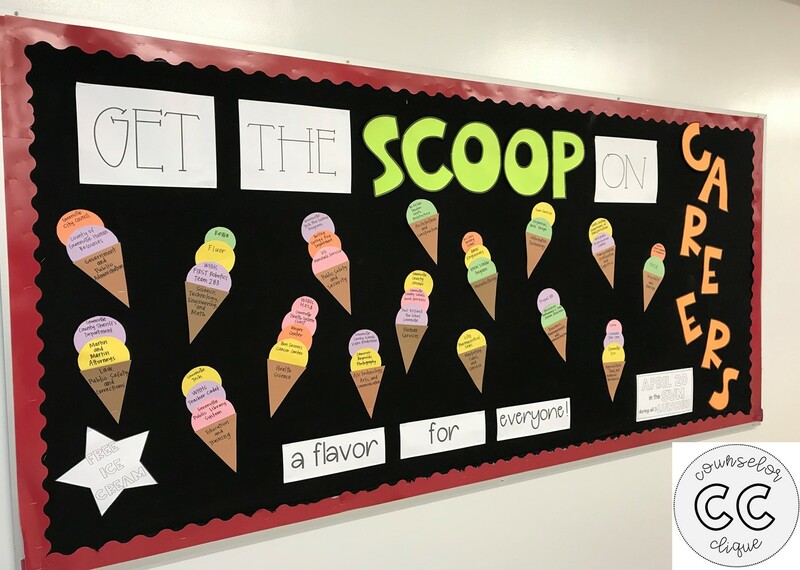 We are giving away free ice cream to participants, thus... this bulletin board was born! Keep reading for more details on the fonts! 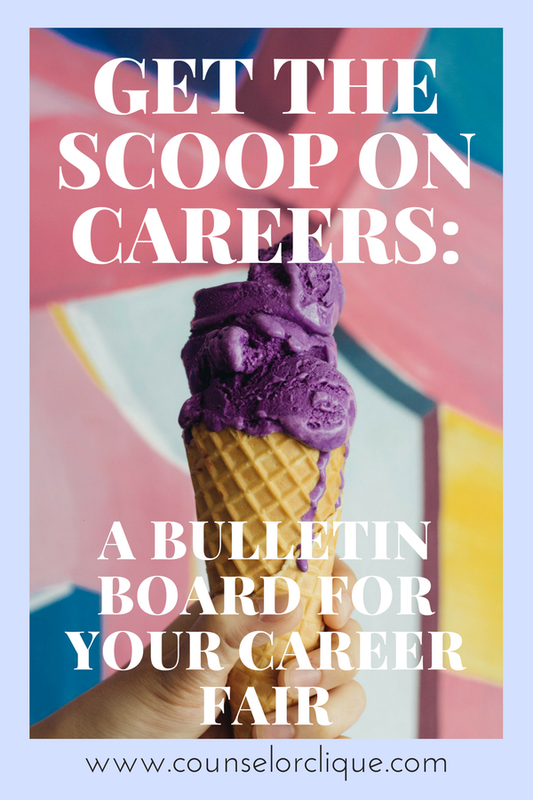 Need a printable conversation card for your career fair? Look no further! Also- read more about how we pulled off a career fair without pulling out all of our hair! The "get," "the," and "on" font is PBBlackCoffeewithSugar from Perfect Blend Fonts: Volume Twelve. "Scoop" and "careers" is PBBlondeRoast from the same bundle. Also this is the same font for the star on the bottom left that reads "free ice cream." "A flavor for everyone" is PBColdBrewCoffee from the same bundle. The details on the event (bottom right) are a combination of PBBlonde Roast and a font from a completely different bundle: APLBigMama from APL Fonts Volume Two. I'm such a fan of new fonts. They can seriously spice up a bulletin board, flyer, announcement, newsletter... anything! Totally worth the couple of dollars to spend on TPT. These two sellers are two of my favorite people to buy fonts from! I was actually inspired by following @aperfectblendteaching on Instagram! She posted a picture of her new fonts in action, and I knew I needed them! I traced some circles and triangles to make the ice cream cones on different colored construction paper. 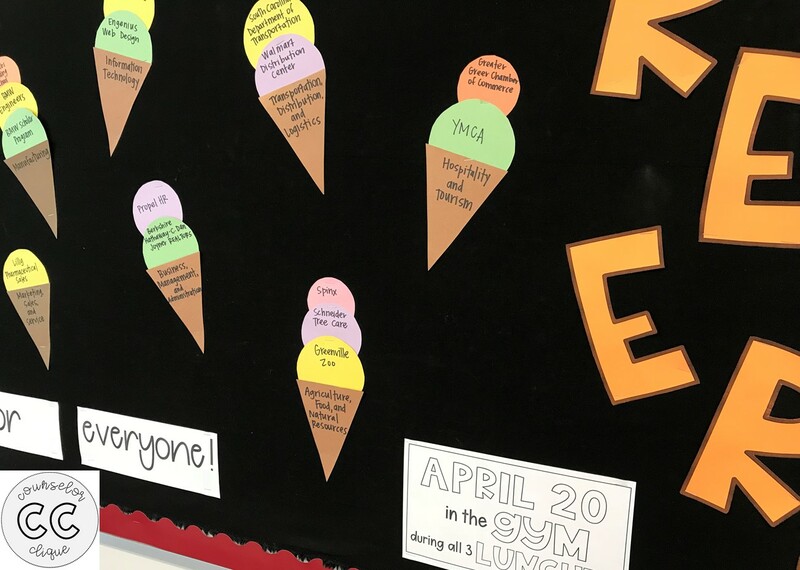 The ice cream cone part has the career cluster that the careers fall into. 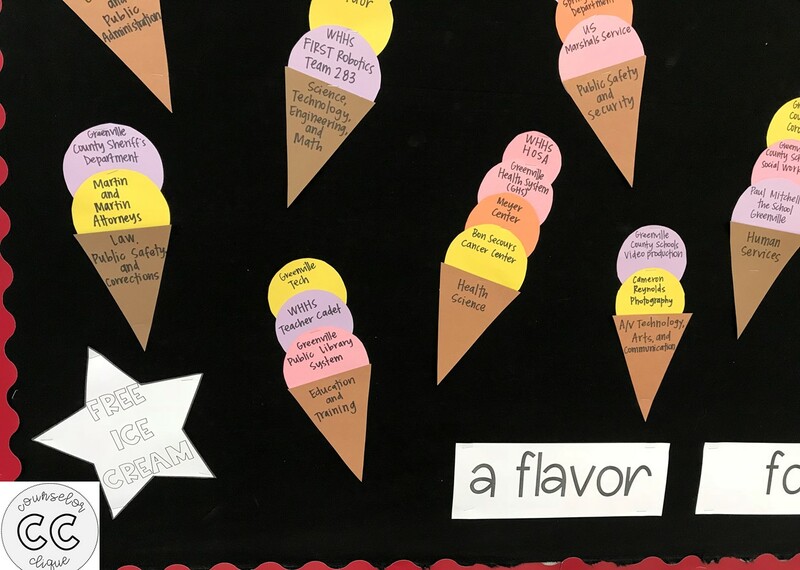 The scoops/flavors are the businesses/companies represented. 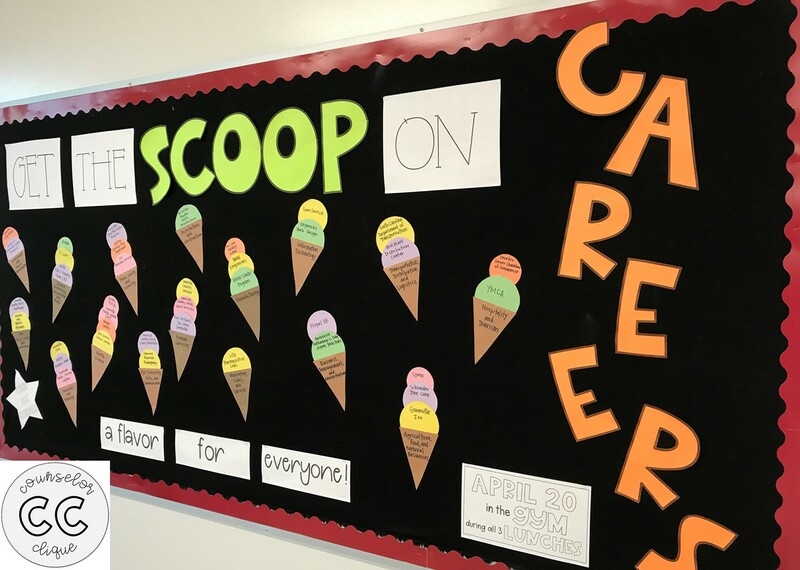 We are so excited to showcase these careers to our students. We're thankful for the participants from our community who would give their time to expose students to new careers!